Wondering what to play at your next party? Stop with the Lady GaGa and Katy Perry, this band will soar you into outer-space. A Danish duo incorporates Nordic soul with deliciously-fun, jazzy beats to form a product of pure groovy soul. Their LP, Fruit, contains fizzy psychedelic pop, a mix of big-band swing and modern-indie rock. The roaring 20’s thunders from the horns and ‘all that jazz’ radiates from Mette Lindberg’s voice. The heavy-groove opener, “Lady Jesus,” derives from a Scandinavian cult-leader whose rebellious tendencies can inspire anyone to dance. “Around the Bend,” sounds joyful and innocent but in fact is a heated tune about sexual desire. Soaring strings and seductive tones embrace “The Sun Ain’t Shining No More,” sounding like a reflection of a 1960’s Bond theme. 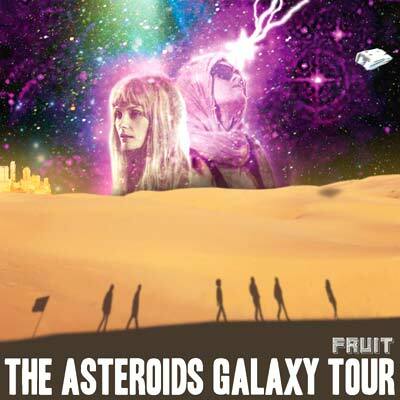 Fruit’s danceable melodies splash into the funkadelic part of a soul and rockets your inner groove out of this world.